Home »Immigration»New York Times Discovers "Illegal Students"
New York Times Discovers "Illegal Students"
After the largest publication in the United States, USA TODAY, blundered in defaming undocumented youth as “illegal students” less than a month ago, the New York Times has adopted the term with a wonderful editorial about immigrant youth in “Whither the DREAM.” Well, imitation is the greatest form of flattery, but the phrase is anything but flattering given the more than 600 letters sent by Change.org members to get USA TODAY to drop the term. NO federal law prohibits illegal immigrants from attending college in the United States, or requires them to disclose their situation. Most colleges don’t even check immigration status when students apply for financial aid — only 31 percent, according to a survey last year by the American Association of Collegiate Registrars and Admissions Officers. Still, illegal students face numerous barriers to higher education. It is not right to reduce people to their civil infractions, but this is not just about semantics. If you read the editorial piece carefully, not only are DREAM Act-eligible students called “illegal students” but the opinion implies that 69% of undocumented youth manage to get financial aid in college due to lack of verification measures at the colleges. This is simply baseless and untrue given that even if undocumented immigrant youth are applying for federal financial aid, rejections are delivered from higher up the chain of command. 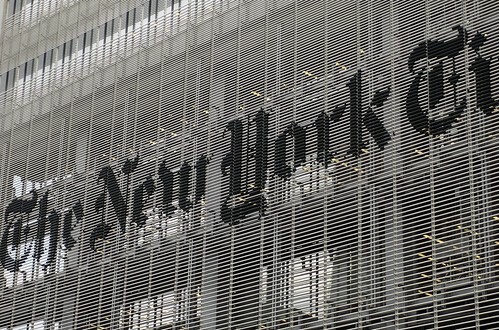 The New York Times has not yet responded to emails asking for correction. Here is your chance to get them to retract the use of the word illegal when referring to people and join the larger campaign to get mainstream media to drop the use of the term.